In light of recent events involving President Trump's previous two physicians - Dr. Ronny Jackson and Dr. Harold Bornstein - I've received multiple requests for a reposting of this analysis. It was originally published on 18 January 2018. Updated cross-references are included at the bottom of the page - along with one synonym substitution - and otherwise, the content is unchanged. 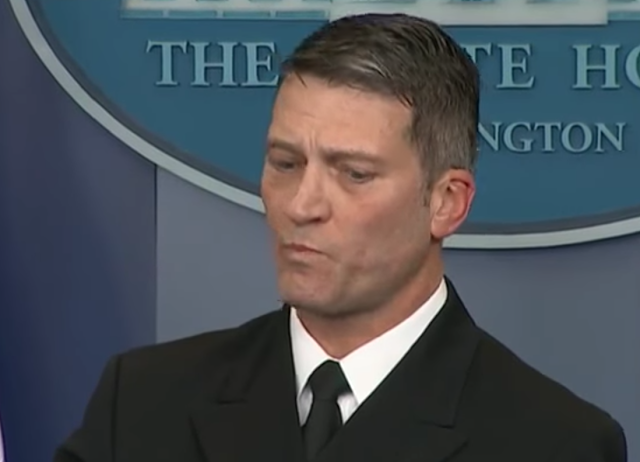 On Tuesday 16 January, Dr. Ronnie Jackson gave a briefing at the White House regarding President Donald Trump's Health. A full body language analysis of Dr. Jackson would be extremely voluminous. What follows is a partial nonverbal analysis of that press conference emphasizing one particular nonverbal signal. 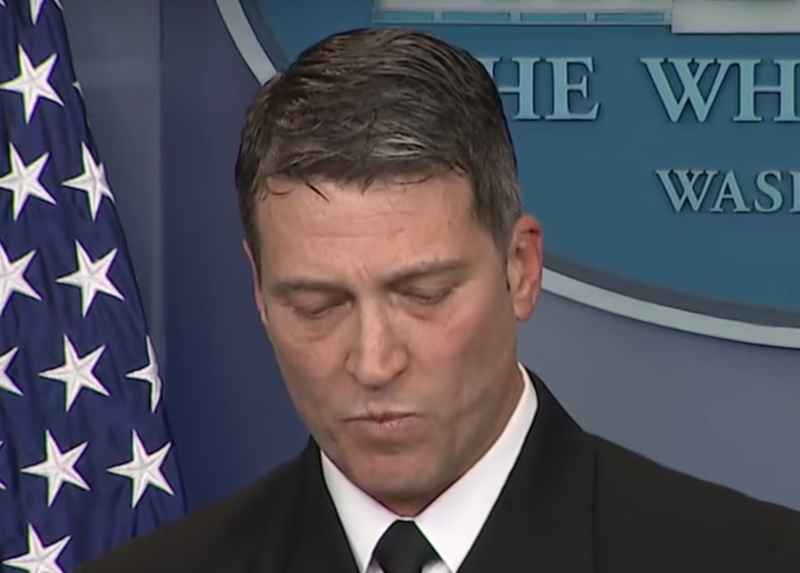 During 9:37 just after he says, "In summary, the President's overall health is excellent. His cardiac performance during his physical exam was very good Ω " - Dr. Jackson displays one of many Forward Lip Purses. He displays another Forward Lip Purse during13:59 as Hallie Jackson is asking, "... The President's personal doctor, memorably said, during the campaign that he would be the healthiest individual ever elected to the presidency, do you agree with that assessment?" Another example is seen at 15:02, as Dr. Jackson is speaking (and stuttering) about how Sudafed was the etiology for the President's slurring of his words during a speech on 6 December 2017. A Forward Lip Purse is a profoundly valuable nonverbal tell (not to confused with a lateral lip purse). It's an indication that those who display it are feeling an undisclosed disagreement and/or a clandestine plan. Moreover, forward lip pursing is only displayed by those who feel - at least in that specific context - they have a significant alpha status relative to others with whom they're currently interacting. Additionally, this signal is also an indication that they believe they have a high probability of success in implementing their plan. 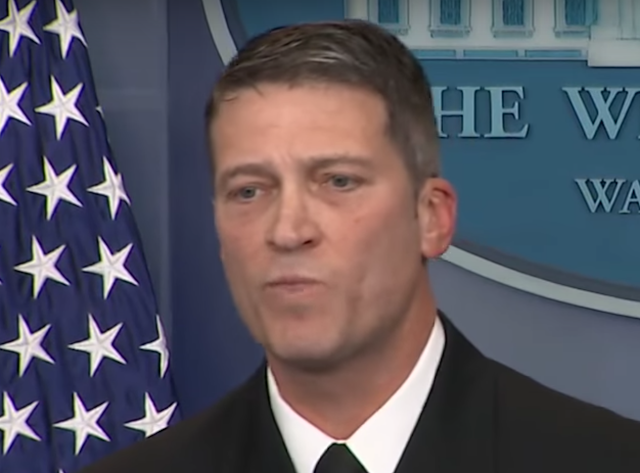 Summary: At multiple times during his press conference on Tuesday, Dr. Ronny Jackson's nonverbal, verbal, and paralanguage behavior demonstrated deception. One prime example was his multiple displays of forward lip pursing - indicating an undisclosed disagreement and/or a clandestine plan.